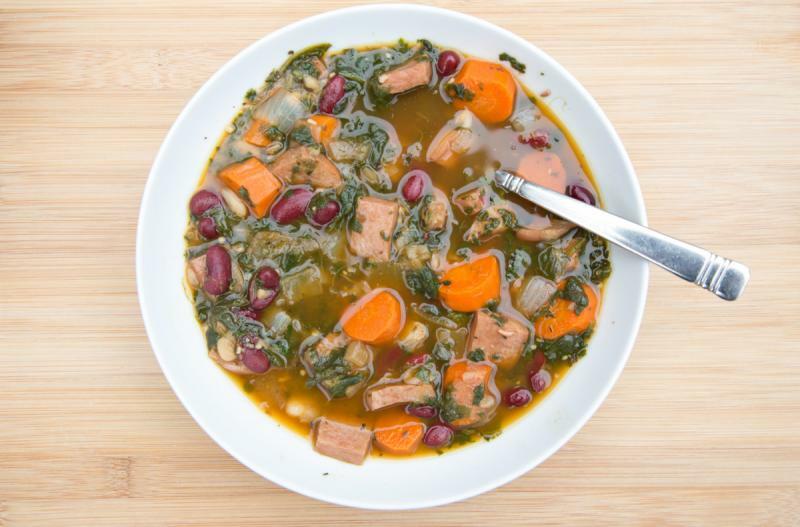 A delicious combination of veggies, beans, and ham! Chop the white onion(s). Peel and chop the carrots. Add all ingredients except garnish and side to slow cooker. Set on low and cook for 8 hours. Ladle into bowls and top with Parmesan cheese garnish. 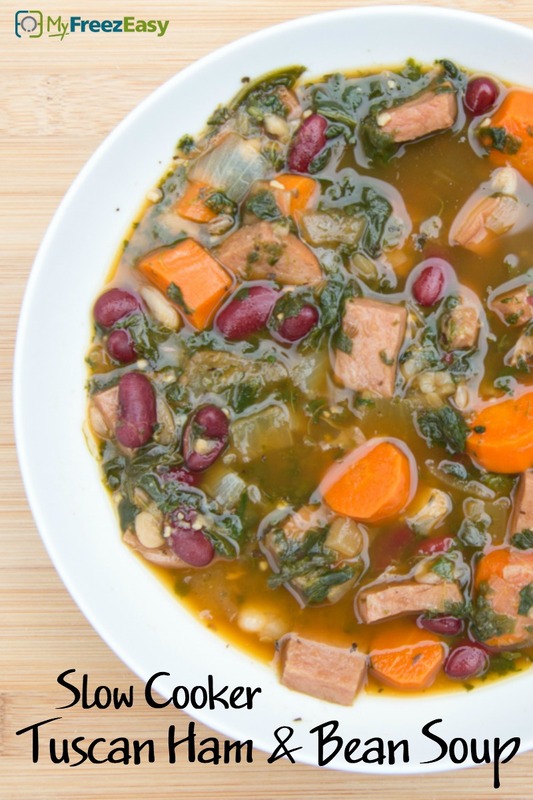 Serve Slow Cooker Tuscan Ham & Bean Soup with warm loaf bread and butter. Chop 2 white onions. Peel and chop 8 whole carrots. Open and drain 2 cans of red kidney beans and the 2 cans of cannellini beans. Put baggie in the freezer and freeze up to 6 months in fridge freezer or 12 months in a deep freezer. Thaw in the fridge overnight, or a warm bowl of water for about 20 minutes, before transferring all of the contents of the baggie to slow cooker. Set on low and cook for 8 hours. Recipe is dairy-free when omit the Parmesan cheese. Thaw and add contents of baggie to slow cooker insert. Set to low and cook for 8 hours. Garnish with shredded Parmesan cheese.